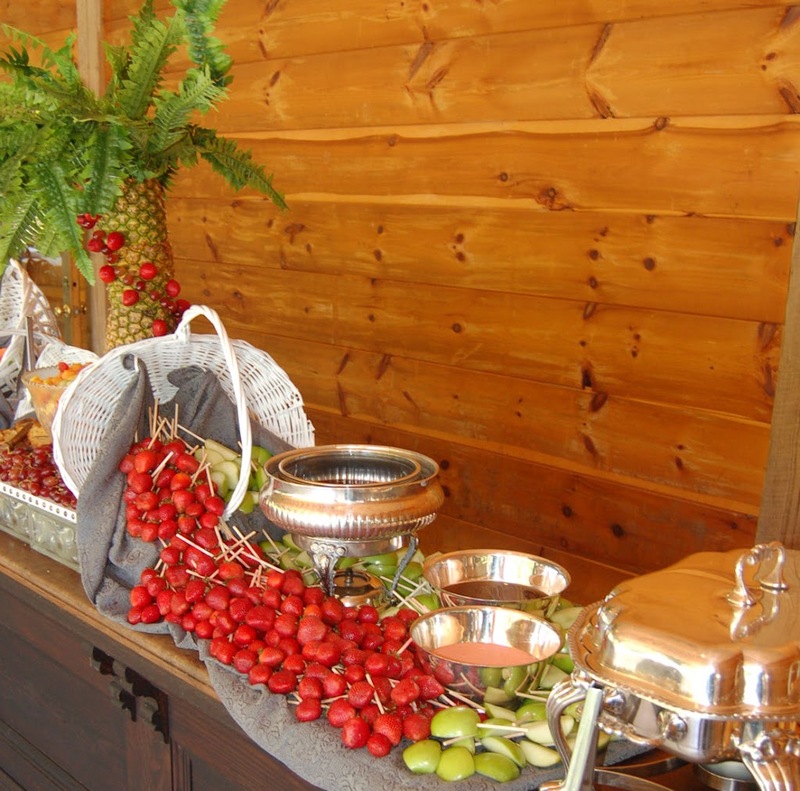 Wedding Fondue stations are becoming more popular for wedding receptions. 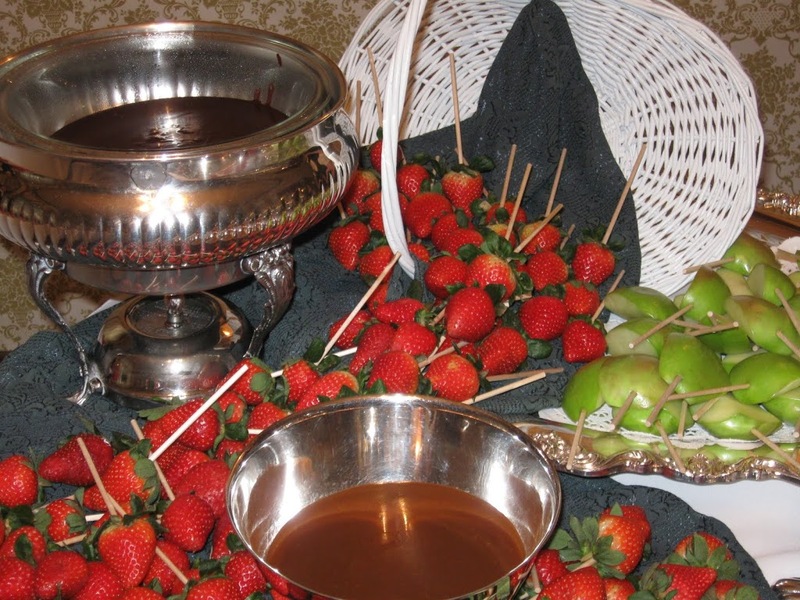 Chocolate Strawberry and Caramel Apple Fondue are the most popular Stations we receive request for. Place the bowl in a microwave oven and cook for approximately 4 minutes, STIRRING WELL AT 1 MINUTE INTERVALS. Wash, Dry, and Skewer Strawberries for dipping and serve immediately. Return to a boil and remove from stove. Using a wire whip as the Caramel Sauce cools, blend in the powdered sugar well removing any lumps that remain. Let soak for at least 1 hour. Drain, blot dry, and skewer for dipping.